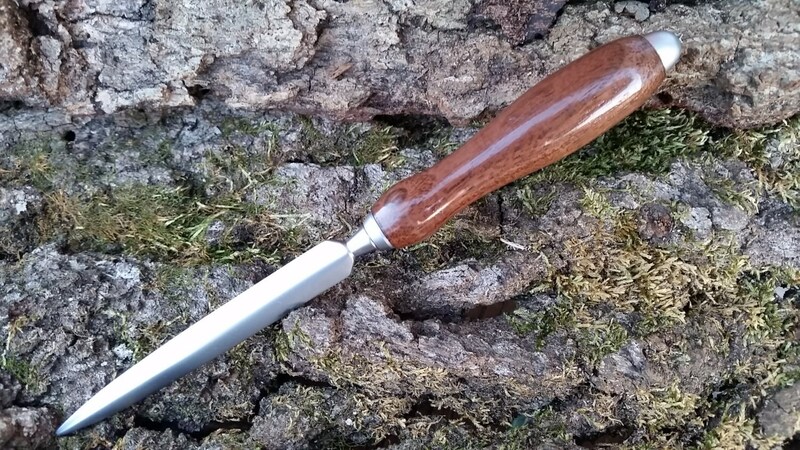 This beautiful hand wood turned letter opener will make a great gift for that special someone in your life. Gift it to your wife, husband, daughter, son, secretary, boss, brother, sister anyone that opens a lot of mail all the time. 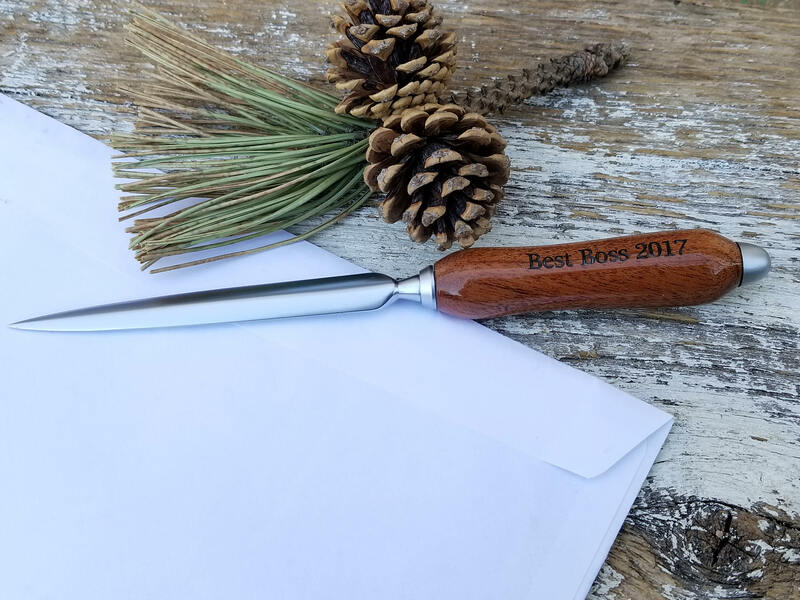 Want the letter opener personalized with their name? 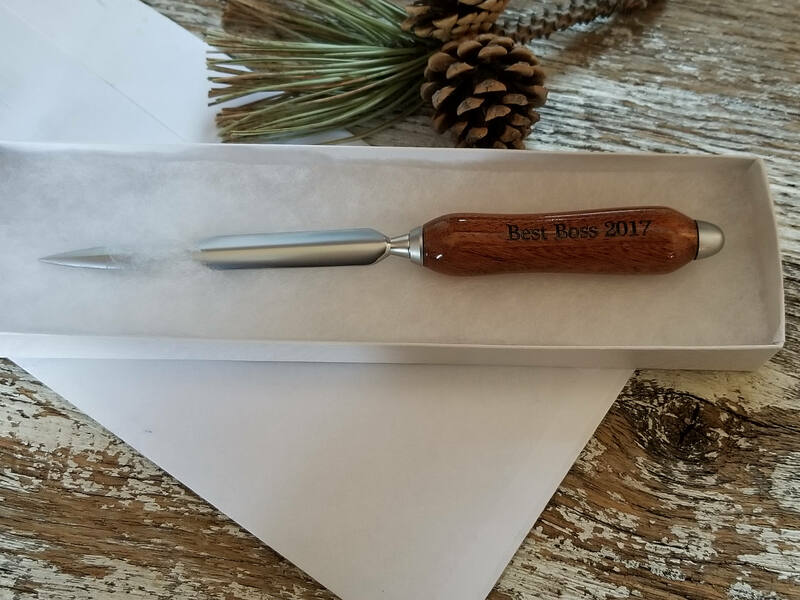 Choose the option at checkout and let us know what you would like us to engrave in the message to seller. Thank you for visiting FineGiftsEngraving.etsy.com. Don't forget to bookmark this page for an easier return.